*The company branding of your SalesHood instance is an add-on feature. Please contact your sales representative or customer success manager for additional information. Before customizing the branding on your instance, please make sure the following applies. The branding feature is activated for your company SalesHood instance. If one or both of the previously mentioned criteria does not apply, please contact your customer success manager or send a support ticket to support@saleshood.com for assistance. Before customizing the branding for your company instance, we recommend contacting your marketing department for your company’s branding guide. Step 4: To edit the background color, select the desired color through the color palette. *Please note, after selecting a new color, the changes will be made in real-time within the Preview pane. 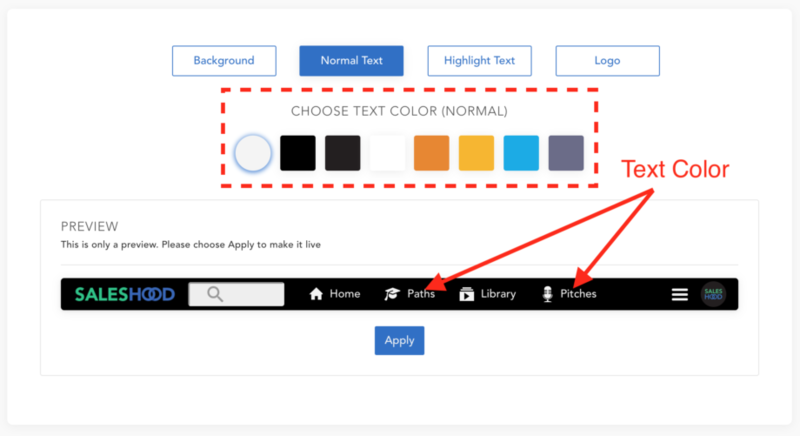 Step 5: To edit the text color, select the “Normal Text” tab, then select the desired color through the color palette. 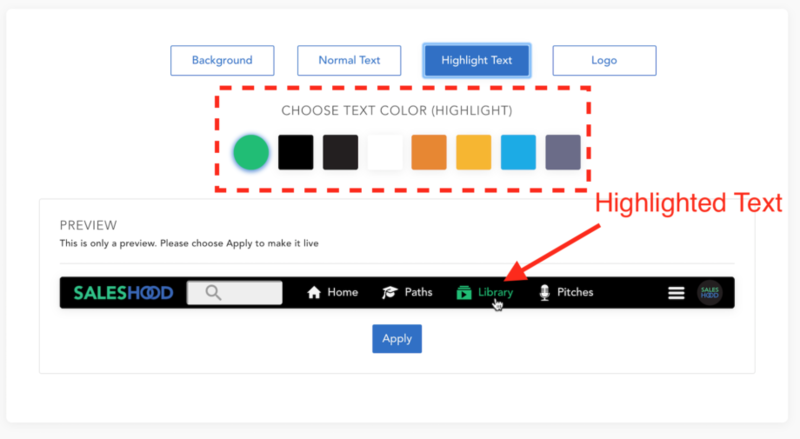 Step 6: The “Highlight Text” tab allows you to edit the color of the text when your mouse cursor hovers over it. 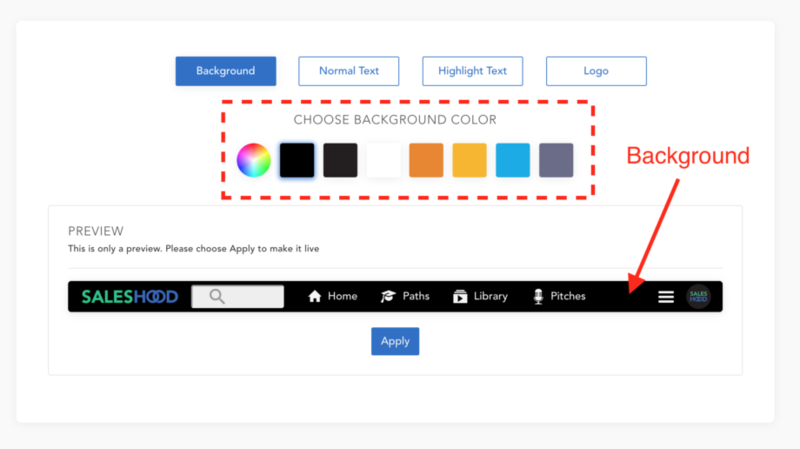 Select the desired color through the color palette. Step 7: “Logo” allows for you to replace the SalesHood logo with your company logo. 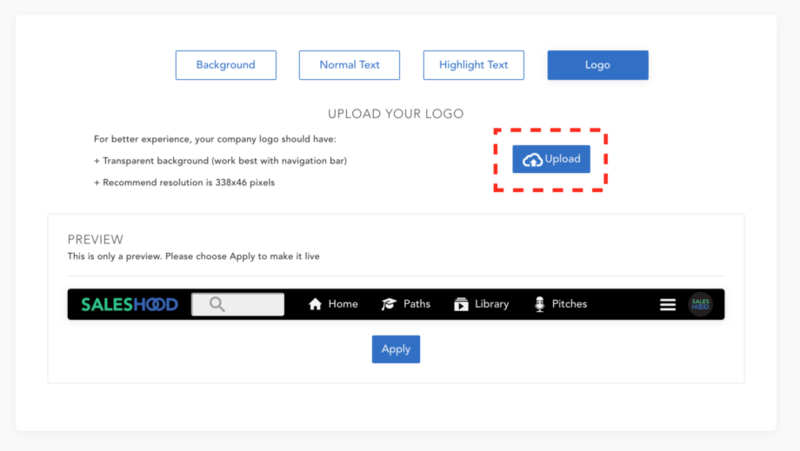 Select upload to upload your company logo. 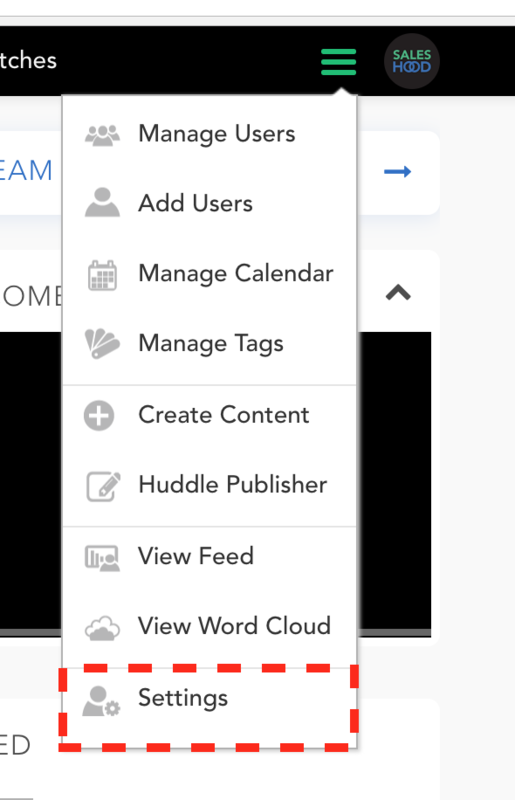 Step 8: After previewing the changes within the Preview pane, click the “Apply” button to update the customization to the production instance.